Cemara Indah Hotel is one of many hotels and inns that offer you room and easy access to Mount Bromo. It is located near the Bromo Semeru Tengger National Park, close by Cafe Lava hostel, and only 3 hour car ride away from Surabaya, the nearest city that has international airport. This hotel has one of the best view to Mount Bromo. Imagine waking up seeing a smoking volcano. It is not the view you can get every day. Not only rooms to stay, this hotel offers you tour packages to Mount Bromo. The special thing this hotel offers is their tour packages. They offer four different kind of packages. The first is Surabaya Bromo Tour Package where you will be picked up in Surabaya, and then you get to explore Mount Bromo and stay one night at Cemara Indah Hotel. The second one is Tour Package Honeymoon Bromo for you lovebirds for 3 days and 2 night stay at the hotel. The next is the Surabaya Bromo Ijen Tour Package for 3 days and 2 nights. The last is the Climb to Mount Semeru-Bromo Crater for 4 days and 3 nights. This hotel’s building and furniture are relatively old, but the staff maintain it pretty well and always change the sheets and curtains with the new ones. This hotel only has 3 types of room, the standard room, deluxe room, and superior room. The standard and deluxe rooms’ capacity is enough for two people. The standard room rate is IDR 400.000 for one night, while the deluxe room will charge you 650.000 per night. The facilities include twin bed, hot water, electric pot, mineral water, a complimentary basket of fruits, and breakfast. The most expensive room is the superior room with two king size bed that are enough for four people. The facilities are similar with the standard and the deluxe room. The rate is IDR 850.000 per night. They don’t have any fan or air conditioning in any room due to its high ground level. And it is not needed also, since the temperature will be so low you will need blankets instead to keep you warm. The rates mentioned are for the normal or low season. For high season, you will have to pay IDR 550.000 for standard room, IDR 750.000 for deluxe room, and IDR 1.000.000 for superior room. At the peak season on June to July and December to January, you will have to pay even more. The rate for the standard room is IDR 700.000, for deluxe room is IDR 900.000, and for superior room is IDR 1.200.000. 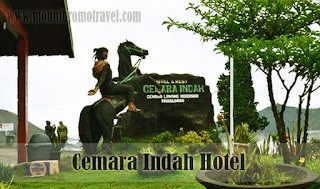 Don’t forget that you will be charged for extra person, extra bed, and excluded breakfast when you stay at Cemara Indah Hotel.